Dark and powerful in the glass with great density and saturation, this wine grabs your attention from the first glance. Luscious and rich on the nose with great depth, we find top notes of violets, cassis, and rich dark cherry, all riding over a base of warm leather, cocoa, wet stone and molasses. The palate opens with red raspberry and blackcurrants before building to mouth-filling ripe cherry, a beautiful acid balance, and round rich velvety tannins. The incredible intensity of the palate fades slowly leaving a finish of dried fruits and hints of clove with remarkable weight and tremendous persistence. 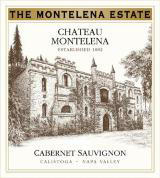 The flagship wine, the 2005 Chateau Montelena Cabernet Sauvignon Estate displays a lovely perfume of fresh herbs, loamy soil, black cherries, and black currants. Spicy and very Bordeaux-like in this vintage, with high tannins, a cool climate freshness, and a leaner personality than is found in riper vintages, it will benefit from 1-2 years of cellaring, and should drink well for two decades or more.